Market Rasen Town Council is proposing to develop a Neighbourhood Plan. The move has been decided as a priority for the town council in the coming year. Several years ago, the Market Rasen Development Trust (The Hub) began working on a similar plan, but ran into problems, including funding, leading to its development being put to one side. Town mayor John Matthews says ‘groundwork’ on what will be a ‘massive document’ has already been done. Public meetings have already taken place on it and West Lindsey District Council wants to “push it forward”. Work would restart on the plan this summer, a project that would take a couple of years, with completion at the end of 2016. There would be further public meetings and consultation, he said. This month’s town council meeting heard the council could gain some admin and other support from West Lindsey. 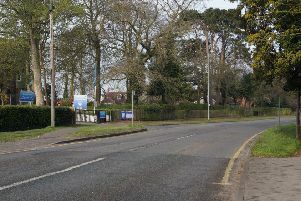 A district council spokeswoman said the town council would have to contact them with regard to help from the district. Town councillor and development trust chair Carol Skye confirmed the town council was keen to develop a Neighbourhood Plan, while the Hub was thinking of developing a simpler Community Plan. This could feed into the Neighbourhood Plan, but much still has to be settled.